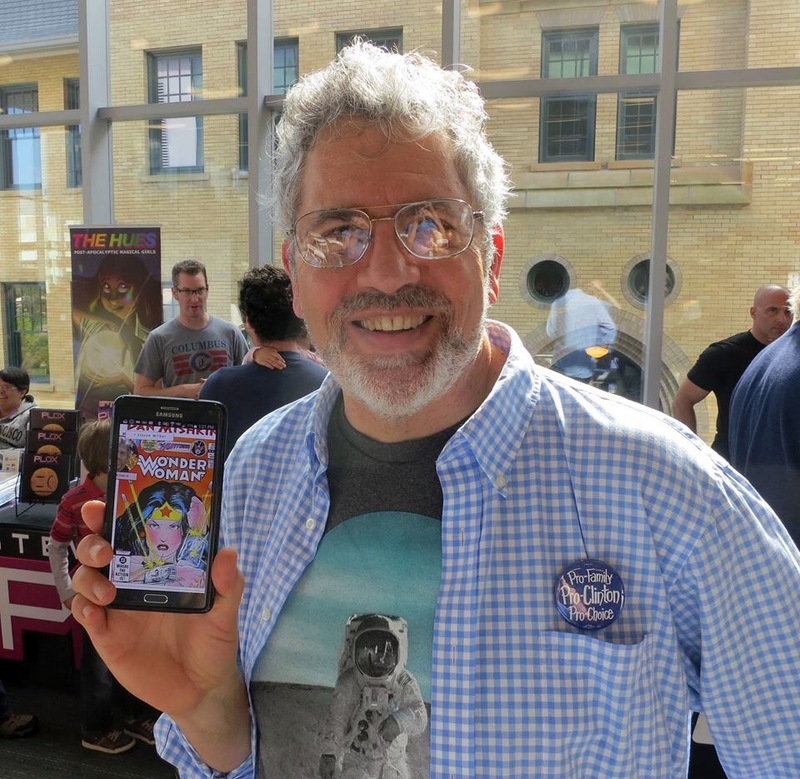 Tell me a little about you: I’ve written comics professionally since 1979, and I’ve loved comics since the first time I read one at age 5. I think it’s fair to say that comics shaped who I am as a person — because they fired up my imagination, showing me that there were all sorts of possibilities in the world that I hadn’t dreamed of; and because they gave me role models whose actions taught me that the amount of power you have in life is not as important as how you use that power. 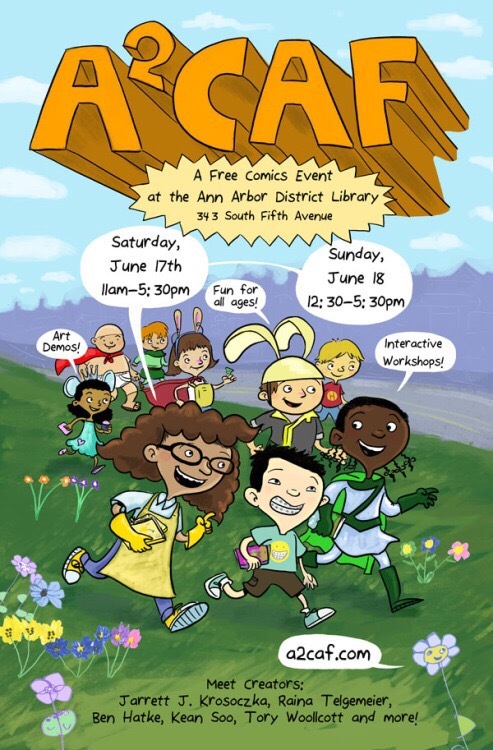 Describe event: The Ann Arbor Comic Arts Festival is a free, two-day celebration of comics held at the Ann Arbor District Library (downtown). 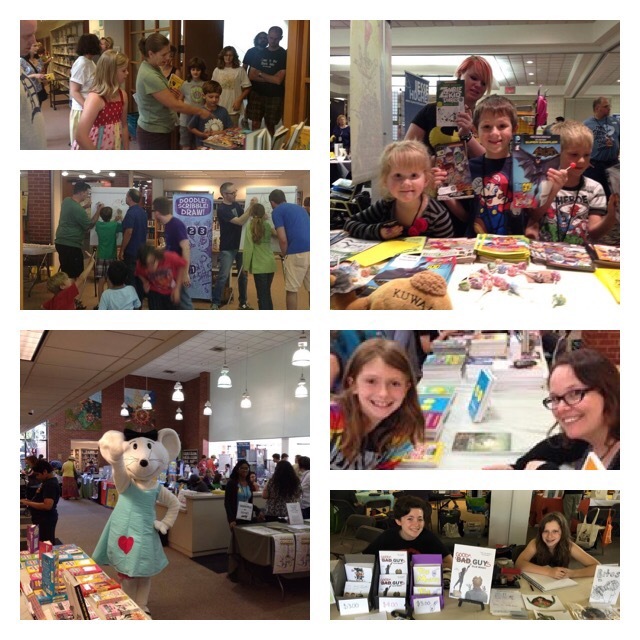 There will be over 50 cartoonists and writers on hand who will not only have comics to sell, but are eager to share their passion for making and reading them. We’ll also have hands-on comics-making workshops, art demonstrations, interactive drawing games, and an awesome music and dance party! What is the easiest part of the event? 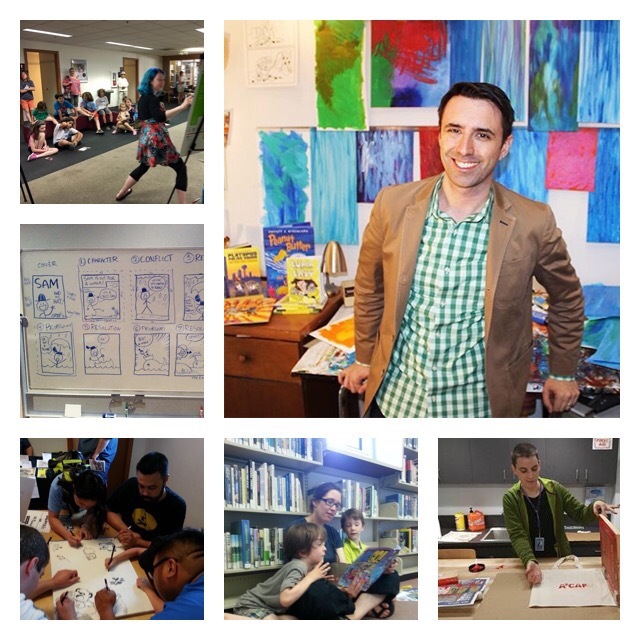 Most of the work I contribute to A2CAF takes place before the event, so the easiest part is attending — and especially having lots of conversations about comics with kids, teens and adults. What is the hardest? The hardest part is making sure we’re sharing all the information we need to with our Artists Alley guests, library staff and the public in a timely way. And that we’re hearing about concerns when they first come up and are more manageable. There are a lot of people we need to keep in communication with from about January forward in order to make sure the two days in June go smoothly. As a writer yourself, how did you get started? I was lucky that when I was trying to break into the comic book field, DC Comics was publishing anthology series featuring stories that were sometimes as short as 2 or 3 pages — usually science fiction, fantasy or horror and often with a twist ending. That made it easier for an editor to take a chance on a new artist or writer, knowing they wouldn’t ruin an issue with one clunker of a story, or worse, turn out 20 or more pages of unpublishable work that the company would still have to pay for. The first story I got to do in comics was the only idea one editor liked out of a dozen I sent him, and he gave me 3 pages to tell it. Why do you think kids should read comics? My hope is that comics can still do for kids today what they did for me as a child: expand their imaginations and help them see that life doesn’t have to be limited by other people’s expectations. Making comics can also be a great outlet for creativity and expressing emotions. And as many people have pointed out (though this is actually at the bottom of my personal what-comic-are-good-for list), they can be a stepping stone to all kinds of reading that some young people might have a hard time starting out with — which is fine by me as long as they don’t then abandon comics. Can you recommend a comic series to me? If you haven’t read it already, the Zita the Spacegirl series by one of this year’s A2CAF guests, Ben Hatke, is one of my favorites. (Bridget note: agreed. I like Zita a lot) And I hear terrific things about Moon Girl and Devil Dinosaur. You could even try my old Amethyst series, which has been collected into a single paperback volume. Bridget Note: if you can join this event next weekend, I hope to see you there!